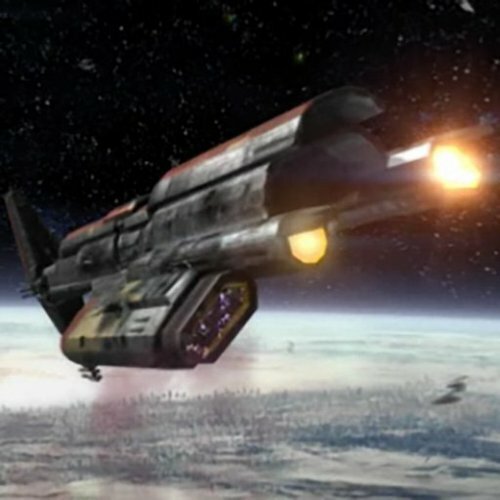 Throughout the game, there are cutscenes of the player sleeping and having Force visions to further the plot. This mod fixes two things about those scenes that bothered me. First, the first of these scenes is supposed to happen in the party's apartment on Taris, but is quite clearly set on the Ebon Hawk like all the other scenes. I've edited the area used for the visions to put in a copy of the apartment to make the location consistent. Second, the scenes show the player wearing whatever item they happened to have equipped when the scene started. So the player would routinely sleep in their clothing, even armor. I've edited the cutscene scripts to remove the player's equipment for the duration of the vision. 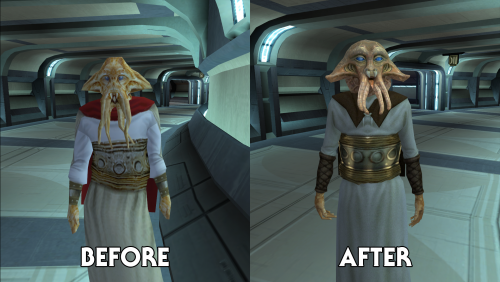 This mod replaces the Jedi robes worn by the player and many NPCs with a more iconic, cloaked one based on a model from K2. I've made some fixes to the model and made new textures both to improve the quality and fit into the game more smoothly. There are two texture options: 100% Brown or Brown-Red-Blue. 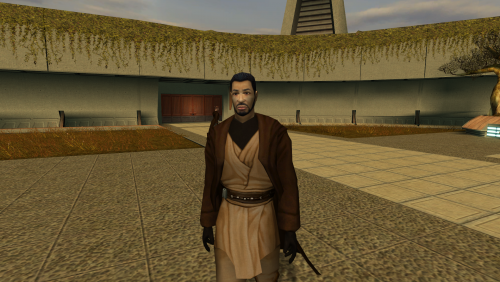 The Brown-Red-Blue textures maintain the color scheme of the K1 Jedi Robes. 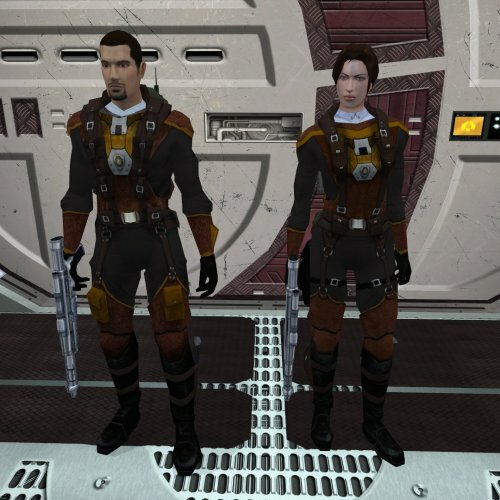 The 100% Brown textures look more like K2 textures, with different (brown) designs for the Jedi robes instead of different colors. Dark Jedi robes, of course, are always black. Both styles come with or without gloves for your player character. If you choose a gloveless option, your hands will be bare and match your usual skin tone. NPCs will still wear gloves. 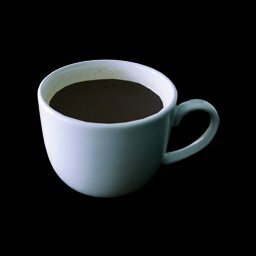 I've included most of these assets as a mod resource that can be found here. Trying out something new: Still need to fill in the back after I chopped off all the head and neck parts of the original, plus add a shadowcaster mesh and fiddle with envmaps (ugh). [K1] Form of soldier HD "International Global mod"
Good afternoon. I worked very long on these textures. I can call them one of the best of my works. The archive contains 2 textures: the texture of the woman's form and the shape of the man. The resolution of the textures is 2048X2048. This resolution allows you to carefully draw each piece of equipment. Attention was paid to everything: rivets, buckles, shadows, cloth, chevrons. Enjoy. Security spikes are disposable items that give the player a temporary boost to their Security skill when activated, helping them pick more difficult locks. At least, that's how it's supposed to be. 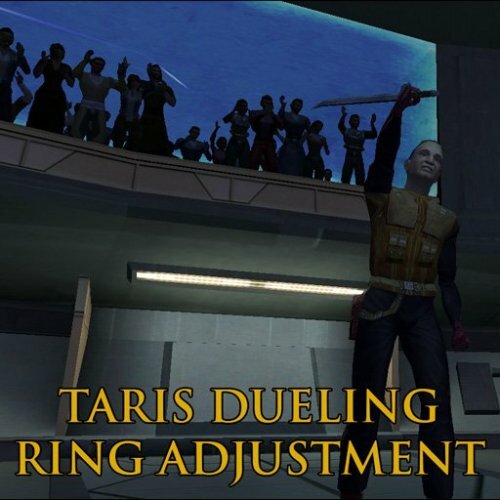 That's how they work on the Xbox version, and in KOTOR 2, but security spikes don't actually do anything at all on the PC version of KOTOR 1. The cause seems to be some sort of bug in the GUI that prevents security spikes from ever appearing in their intended slot. 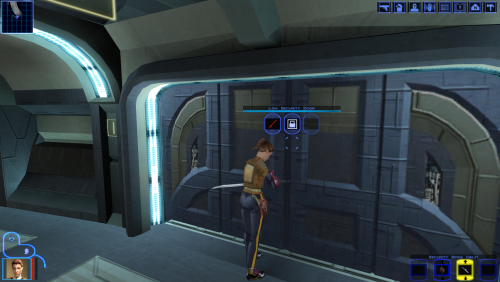 So when interacting with a door, there isn't an option to scroll from the Security skill to security spikes, as there is in KOTOR 2. 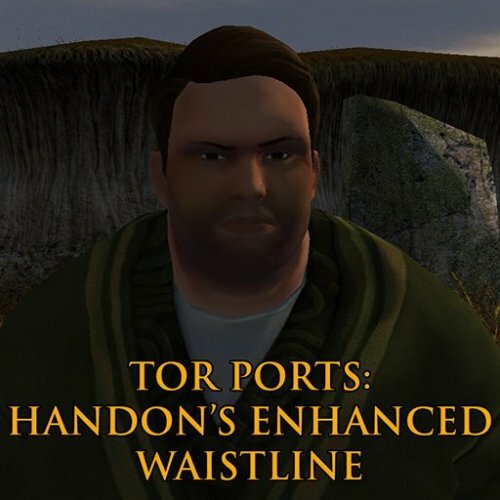 The GUI was changed for the port from Xbox to PC, and security spikes probably got left out due to oversight. I couldn't find any way to resolve the issue, though, so I came up with two alternative options. Option A Option A replicates the security spikes' intended function as best as I could manage. They’ve been given an activate item property and appear in the non-medical item slot (along with stimulants and shields). When a character activates a security spike, they receive a temporary boost to their Security skill and proceed to unlock the nearest door or container. Apart from the boost, the skill check for the lock is the same as usual: 1d20 + Security vs. the lock’s DC. Security spikes are single-use and discarded whether the character succeeds in picking the lock or not; however, they are not used up if the attempt was impossible – if there wasn’t anything in range or the lock required a special keycard, for example. Regular security tunnelers grant a +5 bonus and security spike tunnelers grant a +10 bonus. Option B Option B removes security spikes from the game, replacing them with credits. The value is equivalent to the most you could get from selling the original security spike items to a merchant. 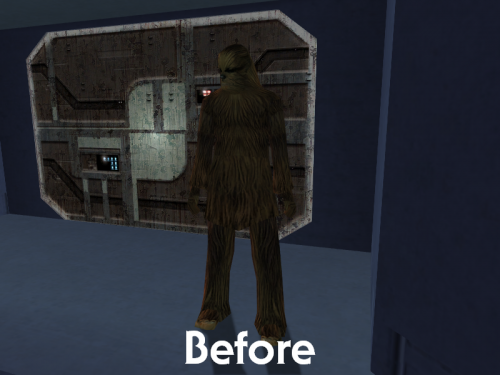 Mission’s ability to create security spikes on the Ebon Hawk is removed. 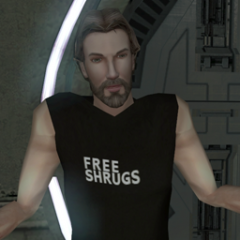 Well N-DReW25 knows how to port NPCs between games, all without the need of creating a help thread. Some more robe progress: There are ten texture variants for the K2 version. Half are done, and the other half is on the way. I've finished the basic recreation of them all, but that was only the first step. A lot of them need additional fine-tuning. For example, the Dark Jedi Knight robe was misaligned; part of the robe was shifted up a few pixels, compared to the other variants. I also thought the cloaks on a few textures looked washed out, so I fiddled with the levels to give them better contrast. But the biggest changes I've had to make were for Jolee's robe because the original just did not look like Jolee at all. Fortunately, the rest don't have to be replaced almost from scratch like that one. Jolee's robe is the only unique robe that uses that model rather than the master robe model. Just little changes - the fine tuning - are needed for the final five textures. The only thing slowing me down is my motivation. That's the sort of thing I can spend forever fussing over, and in fact I'm still not totally happy with the Jolee texture and might go back to it later. Anyway, the K2 version is coming... eventually. 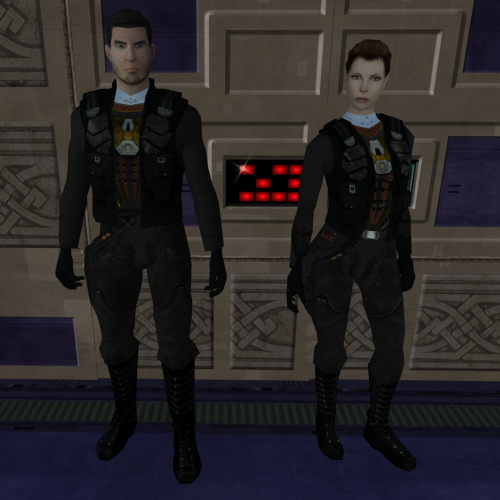 There are so-called "lite" alien models that are of lesser quality than most other models in the game. These include the Quarren and Gran species. Both aliens feature more prominently in the sequel and their models were given an overhaul. This mod ports the K2 versions of the models back to K1, improving the quality of models and creating a more consistent aesthetic. This mod adds proper ears to male Twi'lek heads in KOTOR I. In the vanilla game, male Twi'lek heads had no geometry for ears, leaving them as flat textures on the head. For every other head in the game that has ears, those ears stick out. After noticing this inconsistency, I decided to take a shot at fixing it. This mod makes an additional adjustment by fixing the eyelid origins, so that they no longer clip through the face when blinking. It may be a small-scale change, but given the frequency of Twi'lek NPCs, it's a nice visual improvement that keeps consistency with other character models in the game. There's also a KOTOR II version available here. Installation & Uninstallation To install this mod, drag the files located in "Override" to the Override folder located in your game's directory. If prompted, select replace, although you might want to back up any pre-existing duplicates beforehand. To uninstall this mod, delete the files from the Override folder located in your game's directory. There's a list of files included in the download's readme.txt for reference. Compatibility & Known Issues This mod should be compatible with any other mod as long as they don't override the same files. Any Twi'lek male retexture mods should also work fine with this installed. Known issues: None as of this version's release. 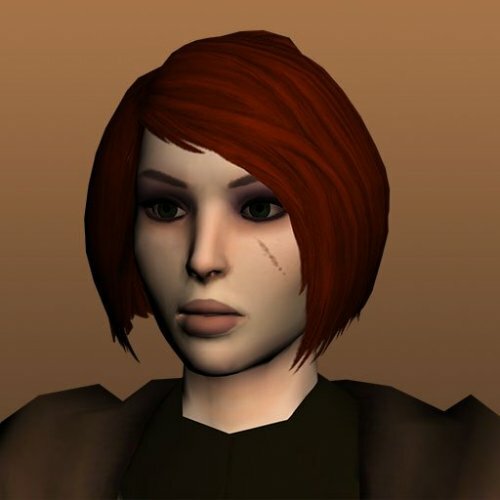 Credits Fred Tetra, Kotor Tool bead-v, MDLedit Fair Strides, MDLOps Symmetric, Purifier, & ndix UR; KotOR Blender Blender Foundation, Blender Major thanks to the KOTOR community for the passion & dedication that keeps these games alive. 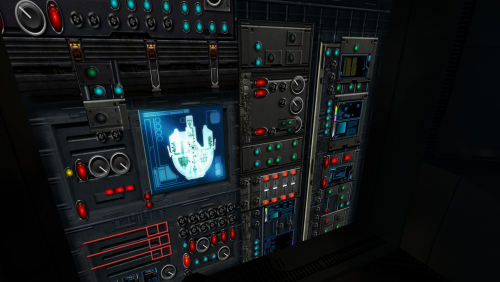 Disclaimer This mod is not supported by LucasArts, BioWare, or Obsidian Entertainment. It is for personal usage only & intends no copyright infringement. Contact me on DeadlyStream or via Discord (listed on my DS profile) if you have any questions, comments, suggestions, or the like. If you want to use this mod as a part of an external work, please reach out to me & ask for my permission first. If I give the go-ahead, just make sure to give the proper crediting. The archive contains 2 textures: the texture of the woman's form and the shape of the man. The resolution of the textures is 2048X2048. This resolution allows you to carefully draw each piece of equipment. Attention was paid to everything: rivets, buckles, shadows, cloth, chevrons. Enjoy. Excited to announce that non other than the man of a thousand voices himself @UnusualCharacters will now be playing Zekk Vorrn in the The Prodigal Knight! Feel free to edit and reuse the textures. No need to contact me for any permissions (for distributing or editing these files). 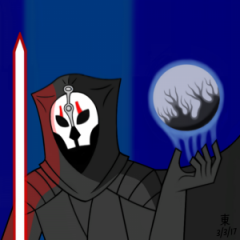 Worked on animation Sith Holocron. The resolution of the texture is 8192x2048. I tried to draw each element of the texture in accordance with the original. To all my friends that I have made over the years on this site, I cannot begin to tell you how much your friendship has meant to me. Unfortunately, my activity on Deadly Stream will be ceasing to a halt (aside from the occasional download) due to having orders from the United States Navy. OCS here I come! Have mercy on me, O God, according to your unfailing love; according to your great compassion blot out my transgressions. Wash away all my iniquity and cleanse me from my sin. 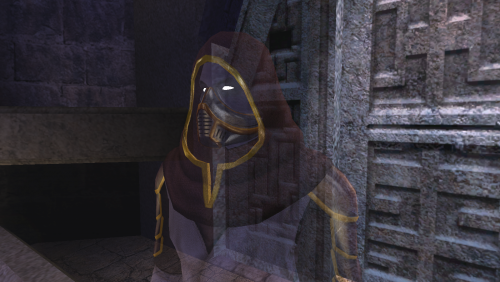 Psalm 51:1-2 Spectral Ajunta Pall Canonical Appearance DESCRIPTION: This mod replaces the silly, non-intimidating Dark Jedi Ajunta Pall with a scarier, more canon-accurate version. His weak gentle voice has been tweaked too so he is a little more intimidating. INSTALLATION: - Use the TSLPatcher and select the install option UNINSTALLATION: - Run the TSLPatcher with the uninstall option - Delete these files from override: -- p_ajuntah.tpc -- p_ajuntabb.mdl -- p_ajuntabb.mdx -- p_ajuntab.tpc -- p_ajunta.tpc -- kor37_freedon.utc -- ajunta_mask.tpc -- ajunta_maskb.tpc CREDITS: - Bead-V and ndix-ur for their work on mdledit/mdlops - Fred Tetra + KOTOR TOOL - Obsidian, Bioware and the Odyssey Engine - The DeadlyStream Community who has been around all of these years - Jesus Christ, My Lord and Savior. For everyone who calls on the name of the Lord will be saved.